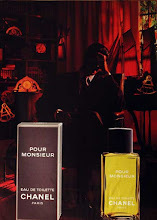 Ignore the exotic bottle and Middle Eastern label - there is nothing exotic, artsy-fartsy or niche at all about this fragrance. Superman is a true blue powerhouse in every way, a raging 70's styled aromatic fougere big on the "aromatic" side of its personality. 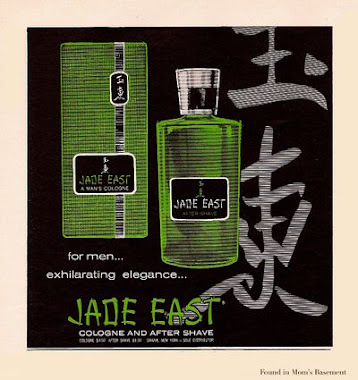 If you like the smell of Jacomo de Jacomo but wish it was stronger, you're going to love this fragrance. The two are really similar. Superman is an extremely dry and spicy fougere that smells like a bar of spiced soap for about an hour or two, reminding me a lot of Open by Roger & Gallet, only a lot spicier. Over time, the soapiness dissipates, revealing a very gritty and assertive accord of intense spices and dark aromatics like clove, nutmeg, pepper and patchouli. It's an uncompromising, aggressive scent and most amazingly, this is in the drydown! It's this black, dusty, aromatic accord that smells a lot like Jacomo de Jacomo, only much stronger and longer lasting. 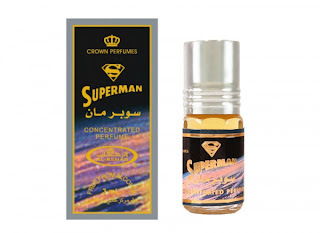 You'd better love the smell of clove in your perfumes, because the clove in Superman is unrelenting. Of course, being a perfume oil, Superman has what most perfume oils can deliver, and that's show-stopping power. Last night I put a mere one drop on my wrist and rubbed both wrists together. My wife could smell it on me ten feet away for about an hour, because she kept commenting about how I smelled like Dial soap. For a good five hours more, I could smell Superman projecting like a bat out of hell, without once having to lift my wrist up to my nose. The sillage is amazing, but I can only speak to what one drop is like. 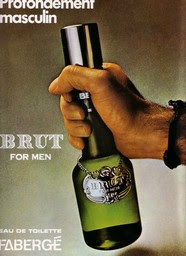 I imagine more than one drop on your skin would unleash enough power to use this fragrance as a form of riot control. So, fans of Jacomo de Jacomo should rejoice with Superman, as it nails that Jacomo smell firmly into serious powerhouse territory. It smells awesome, and even though the Jacomo similarity is obvious, it does blaze its own path. You really don't smell fragrances like this anymore, so Superman should be a boon for all fans of old school power. I have been wanting Jacomo for a while now so I just decided to get this instead. I got it for $6 with shipping and it's more powerful how can you go wrong. This looks interesting. What's the most reliable Al-Rehab merchant these days? I ordered mine from Amazon. By the way, I ordered 6 different Al Rehab perfumes, and I've worn five of them. 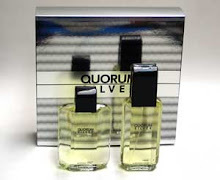 All five of them are excellent, and better than a lot of designer and niche fragrances I've worn. I'm totally serious here. The one I have yet to wear is Balkis. I'll be reviewing all of them eventually. Oh crap I think I got mine from Al-Rashad Books too through Amazon. Maybe they wil throw in an extra. I hope you review the others soon. I have been hearing about a couple that are highly praised like Silver, and a couple others I don't remember the names of. There are a lot of Al Rehab perfumes. Yeah thanks, I ordered 1 .2ml roll-on of Silver last night from Al-Rashad off Amazon. I need to give that one more time but it's hard to find, it was only $6. We'll see how long it takes to get the order! I have Silver, and it's great. 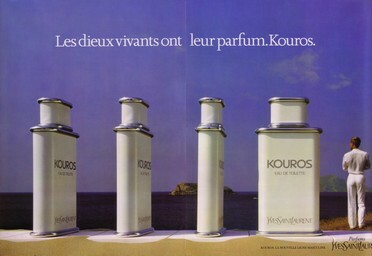 Keep in mind, I'm talking about the perfume oils, not the EDT or EDP spray bottles Al Rehab makes. I've heard they are different. I was just about to write the same thing. I don't think Silver is neither mine nor shamu1's style(clean and fresh) but man, you can tell it's high quality. I'm curious about their other stuff now. It's the oil, as far as I know. Have yet to see a spray bottle anywhere, except that link you posted! I plan on getting more of these, and I'll be sticking with the oils. The one thing I love about oils, as opposed to EDTs, EDPs or parfums, is that they need time to assimilate with your skin, and they actually get STRONGER and more complex over time. That's especially true with these Al Rehabs. I'm wearing Silver again right now. It smells like a lot of those "Millesime" frags by Creed (Silver Mtn. Water, Millesime Imperiale, e.g. ), which I don't like, but I like this. I don't like that metallic, fizzy smell the Creeds have, but in Silver it's much more subdued. I actually like SMW maybe it's the tea in it that keeps it from being boring to me. I like Jay Z Rocawear X for the same reason(I think it's a knockoff of Creed but I like it better). I just got this in the mail today, and it smells awesome. I haven't experienced the power yet, but I just put it on too. Give it an hour or so. The thing about oils is that they don't hit you right away with their strength. They need time to blend in with your skin before you can really appreciate them. Superman on my skin gets stronger over time. Hey folks - just received my batch of Al-Rehab oils Superman, Balkis & Dakar and am blown away by the strength of these oils. Just one question - what is the best method of application of these oils?? A dab or 2 on the wrists?? A dab or 2 on the neck & or chest?? Have you tried Beirut, Keyboard, or Sultan? I'm not sure that all are produced by Al-Rehab, but they're worth giving a whirl.